At Tesla's latest quarterly earnings call, CEO Elon Musk stated that its Supercharger network is not "a walled garden", and he's open to sourcing the fast car charging technology to companies and startups for a fee. Electric vehicles are all set to take over our roads, and most car makers around the world already have some form of electrified powertrains, with pledges to convert a major chunk of their cars into EVs over the next few years. However, the question still hangs on these electric powertrains, and the biggest of the questions involve the average charging time required by the present crop of EVs. The Tesla Supercharger is not the only fast charging solution for electric cars. Many energy companies are presently soliciting fast charging stations for EVs, but this industry itself lacks a standardised adapter that would be compatible with every vehicle. While the Supercharger, too, works with its proprietary power socket, the one big advantage that it has is Tesla's present brand value, its market presence in markets where it operates, and a stable and functional platform that has already proven itself to be efficient and fast. Until now, the Supercharger network has been reserved only for Tesla's own vehicles, and may well remain so in the immediate future. 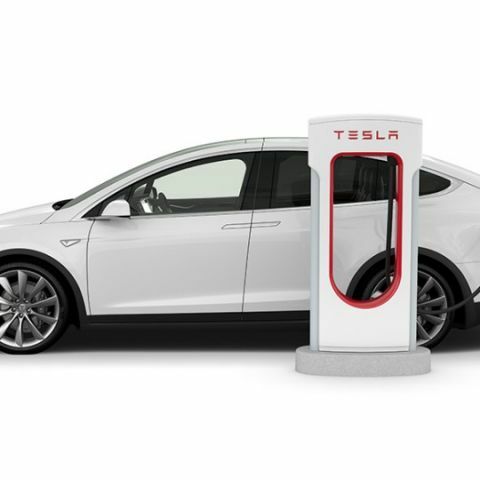 However, at Tesla's latest quarterly earnings call, when asked on whether other manufacturers may be allowed access to the Tesla Supercharger network, CEO Elon Musk stated that it is not "a walled garden", suggesting that he is open to deals for allowing other players in the EV industry use it. Of course, there will be a fee involved, the model of which may include a lump sum or even a lease-like format wherein car manufacturers would contractually agree to use Tesla's Supercharger network for its own cars. Tesla has spent a generous chunk to set up its networks in countries where it operates, and letting other companies use its own DC fast-charging network may be a good way for the company to make some of its money back. This would also mean that the net electricity comsumption would go up significantly if other companies start using it, and the network itself would need to be increased manifold to prevent long queues if other manufacturers were to use it too. While the likes of Volkswagen Group's Electrify America, EVGo and others are also building stable fast charging networks, the Tesla Supercharger network has already been proven, and comes with a brand equity that can work as a convincing selling point for many EV startups. For instance, imagine if Faraday Future makes its vehicles to production, and as a customer pitch, you're told that your car will support any Tesla Supercharger station. Wouldn't that be more convincing? How may this help India's quest for EVs? In India, electric vehicles are still at a nascent stage of discussion. Forget about fast charging networks, there are no widespread EV charging networks anywhere in the country. The likes of Tata Power have just begun putting charging ports in cities like Mumbai, and it is still a long time into the future that a charging network is established. Musk has evidently been in conversation with officials in India, based on his former Twitter activities, and considered setting up shop in the Indian market. His Tesla is also probably the number one contender for being the one that sets up India's first EV network. Take Tesla's recent activities into consideration - while its production plans for its vehicles have repeatedly promised deadlines and failed the same, Musk has been particularly adept and ambitious about large volume energy projects in general. The Gigafactory in Nevada is now hitting new output levels (finally! 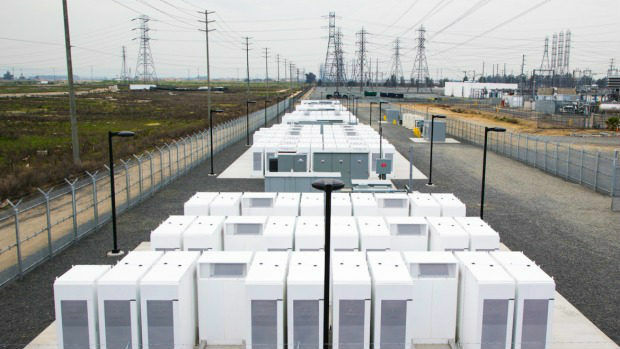 ), and one of Tesla's biggest wins on the energy front is its work to build the biggest Lithium-ion battery in South Australia. 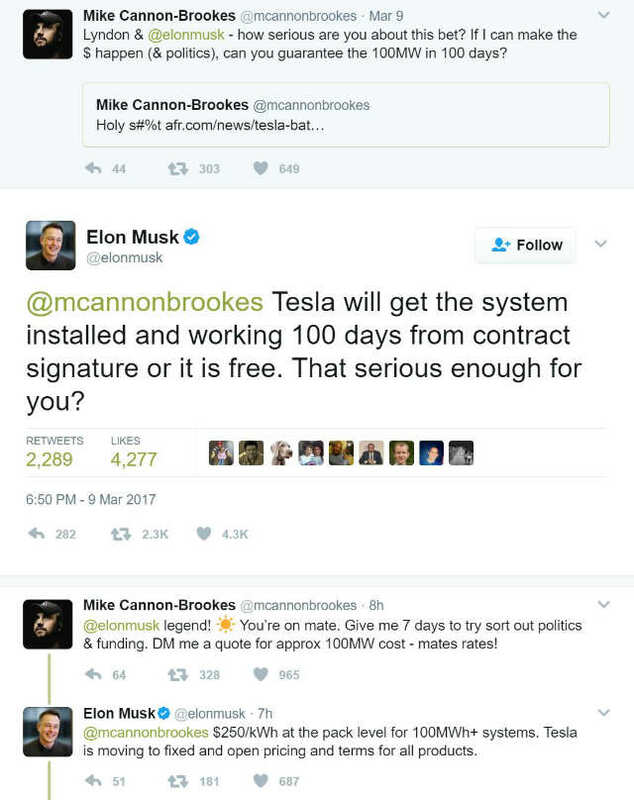 Based on (again) Musk's tweets, Tesla's challenge was to help solve South Australia's crippling energy problem "in 100 days from contract signature or it's free". Seemingly, it has met its self-stated deadline, and while this may not have anything to do with India's EV market, it is a relevant point to consider. In a market like India, where there is a massive potential for an EV market that is barely on the verge of being set up, Tesla is already an aspirational name among those who follow the automotive and energy sectors, and beyond. It also has the investor backup required for such a mass-scale initiative as installing an EV network in a country like India, and if Tesla is indeed to set up its network across the country, it would be counter-productive for the company to build a network for just its own cars. All of Tesla's cars fall in the more expensive segment, and when it finally enters Indian shores, it will most possibly qualify as a luxury car maker. With India's highly value-sensitive market for cars, it would not make sound business sense for Tesla to spend multi-million bucks on an energy network and then not be able to sell enough cars to make some of its investment back. On the other hand, the few offerings among EVs in India are adept at short-range travelling only, and those who buy these vehicles mostly use them for city commutes. While this market is certain to improve over time, Tesla may actually cash in on a massive opportunity by signing collaborations with companies on the battery and charging front. Tesla would then be picking up revenue from its collaborations, and in turn provide India with not just a charging network, but a fast-charging one at that - one that solves two problems at once. A Supercharger network would give EVs in India a range of charging stations to connect to, and having a fast-charging solution will also help not having to make overnight stops just to charge up your car. Such a situation is, of course, hypothetical. Ever since Musk's tweet stating that Tesla will be introducing itself in India in the summer of 2017 (they evidently didn't), there haven't been too many updates on what's happening on that front, apart from a solitary Tesla Model X being imported as a special case by an individual. Setting up a network of Superchargers in a market that hasn't even set out to establish EVs as the mainstream norm will also be a big gamble. But, if you consider the massive number of cars plying on Indian roads and the potential of the Superchargers being opened up for other companies to use, and it might just begin seeming like an interesting revenue model. Musk has announced already that the next Gigafactory for Tesla's batteries will be in China - an automatic selection seeing China's advent as an EV market. It remains to be seen how startups like Byton, Faraday Future and all the hyped-up ones react to this news along with established players, but on paper, Tesla opening up its Supercharger for other can have big implications for the EV industry in general. Is Lenovo Y50 good? Since its pretty cheap compared to other models? Lenovo Y50 good or bad?